Maren Morris and Florida Georgia Line have both earned massive sales and airplay in the first half of 2018, thanks to two record-breaking songs. On Nielsen’s 2018 Mid-Year rankings, FGL’s collaboration with Bebe Rexha, “Meant To Be,” ranks at No. 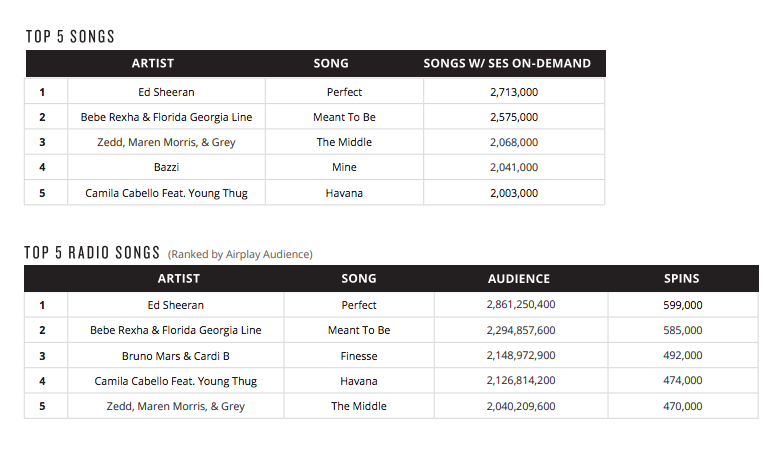 2 with more than 2.5 million (Songs with SES On-Demand). Morris’ collaboration with Zedd and Grey, “The Middle,” is at No. 3, with 2.068 million. Both songs also make Nielsen’s Top 5 Radio songs as of mid-year 2018, with “Meant To Be” at No. 2 with 585,000 spins and an audience of more than 2 billion. “The Middle” ranks at No. 5, with 470,000 spins and an audience of more than 2 billion. 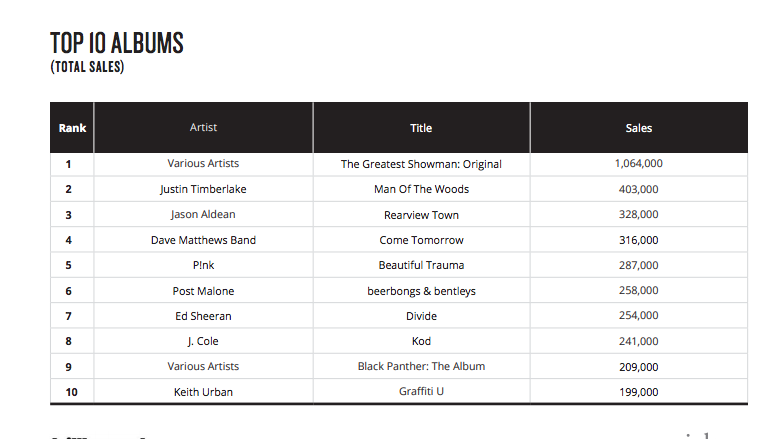 Both Jason Aldean and Keith Urban had albums place in the Top 10 albums (total sales) chart for the first half of 2018. Aldean’s Rearview Town is at No. 3 with 328K, while Urban’s Graffiti U is at No. 10 with 199K.